Should you use a Fortune Teller Online? Fortune telling is an age old practice that has been practiced for centuries now. There are many reasons as to why people would perhaps want to have a glimpse into their future and among these reasons is to know about their chances of striking it big in whatever activity they are involved in. Several decades down the line, it would only be possible to consult a fortune teller through a face to face meeting which would require miles of traveling, but with the development of internet technology, it’s now possible to reach out to a fortune teller online. Everyday, there are many people who set up flashy websites and claim to be offering fortune reading services on the web. This makes it complicated for anyone interested in getting professional assistance from knowledgeable and experienced readers. The reviews which have been posted by past customers of these readers and the length of time which they have been practicing the trade should be the first among other things to guide you with your selection. The good thing is that people love sharing information and whatever their experience they have undergone with a tarot reader will find its way to other interested persons online. But again, since there are quite a number of them who offer reading services on a limited scope, it doesn’t hurt trying them for free. Some online fortune readers offer free readings for several days or weeks before charging, so you can try them out before making a decision as to whether you will want to proceed with the online reading or not. We often refer to these as “cold readings”. You can read more about how you can work with a fortune reader online for a cold reading here http://en.wikipedia.org/wiki/Cold_reading. The methods which a fortune teller online uses are diverse, some simple while others are complex. In the past, certain things such as sticks, entrails, rings and shells were mostly used to define the future. Then came the dice and other methods which were virtually used for similar purpose. Provided that they offer consistency, anything that can be linked to a person could be used for divination purposes. If psychic readings are done by an experienced and knowledgeable professional, the strengths and weaknesses of a person can be brought into the fore. The kind of information which a person is seeking to know about his or her fortunes appears as if it has been printed on his or her forehead. This link https://www.princeton.edu/~achaney/tmve/wiki100k/docs/Fortune-telling.html provides more insights on methods used by fortune readers. 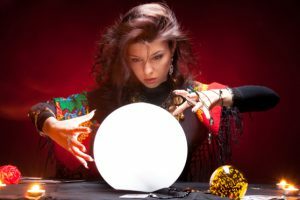 Nonetheless, it’s imperative to comprehend that while psychic readers provide you with generalized information about your future fortunes, you are the one who is fully in charge of your future. You choose the advice that works for you and apply them in order to rebuild your future. You shouldn’t apply everything blindly, choose some separate pieces of advice and piece them together before applying them to your everyday life. Your fortune teller online will ask you some questions regarding your life and being truthful is paramount. If you provide inaccurate answers to the questions which you are asked by the psychic, there is a possibility that you will not derive any benefit from these kinds of readings. From the raft of responses which you give the reader, he or she can be at a better position to understand you better and offer guidance that will assist in providing you with the direction which you need to achieve success in life. It’s of great importance that you create a cool and relaxing atmosphere when doing the reading because distractions can affect the Your mindset is able to think better and faster while answering the questions online. When your mind is fully focused, you can present the right sets of answers fast. When consulting a fortune teller online, you should remain open to answers of general nature. Be open to suggestions and diverse answers because this is what you will pick separate pieces which you will use to chart your destiny. It is easier when you receive important advice and being left to make the crucial decisions on your own. Also, even if you are presented with general solutions, it’s imperative that you dig deeper and ask for specific details. Make sure you get more than the least amount of information which you expect. By working with a reputable fortune teller online, you can start doing the things that will help you strike a fortune.